The union and management reached a tentative agreement. Who’s to say whether Dad’s spirit had anything to do with this result. But I’m darn sure his spirit did with the VIA Rail engineers’ actual strike in late July, 2009. I had tickets booked for a holiday to visit family and friends in southwestern Ontario later that week. I even picked up the tickets on the chance that there wouldn’t be a strike. When the strike started I was pleading with Dad’s spirit to get in there and stop it – after all he had been a railroad man who dealt with trains running on time. I guess he didn’t want his daughter stranded or taking the bus, or maybe it was just in the air, but the strike ended a few days later. And I took the train during my holidays. The biggie is something that happened on the 40th anniversary of Dad’s death. I’m going to quote this one from Book 2 of my memoir You Can Go Home. 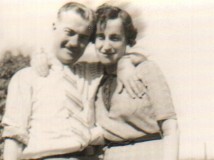 On the 40th anniversary of my Dad’s death, I wake up just after dawn to the sound of a door closing. Something breezes through the hallway. I know it is my Dad’s spirit, but his message seems to have many interpretations. The broad one is that he and Mom are there, in spirit with me, in my current house. Anyone else had experiences seeing or hearing your deceased parents’ spririts? Please comment. I couldn’t have done it alone. I got help writing my memoir about growing up an only child of elderly parents in the ’50s and ’60s when your dad is dying of cancer. The help came from my East End Writers’ Group – a writing group I started 10 years ago because I couldn’t fine one in my geographical area. I’m seeing my past and writing about it from my point of view. It’s subjective and often writers get too wrapped up in their own prose or poetry and literally can’t see the forest for the trees. Those leaves and branches can block what seems obvious to others listening to and/or reading your work. For example, my memoir blends in some social and other history of the times. “Blend” is the key word, not go on and on about the history. One chapter I’ve quoted from in a previous post (“Time is Not on My Side,” 2009/11/20) “Riding the Rails with Dad” tells how Mom and I travelled with Dad on the CN railway my Dad worked for. I wanted to put some history of the CN in the chapter but got really carried away. The critique was “you have too much history.” So, I cut, cut and re-blended. The idea was to keep in some parts that tie in with Dad’s time at the railway and our travels. Gone went a whole diatribe on steam engines, except what I experienced as a little girl. Stayed were some of my Dad’s peculiarities relating to working for CN. One was his obsession with being on time – after all he was a timekeeper. “Four times a day, including lunchtime, the Bully and I do the 15-minute walk to and from school, often accompanied by other classmates dawdling up Donlands. Some like……turn west along O’Connor, but Tom, the strawberry thief, continues on wih the Bully and I. The Bully teases me and I’m too timid to tell her off. Tom, disgusted by her behaviour, slashes back at her, telling her to ‘leave Sharon alone. ‘ And no, that doesn’t reward Tom with free strawberries. In class, Tom, who sits kitty -corner in front of me, listens as the Bully taunts me. I blink to stop the tears from sliding down my cheek. Tom swings around and stares mournfully at me with his baby blue eyes. Excerpted from You Can Go Home. 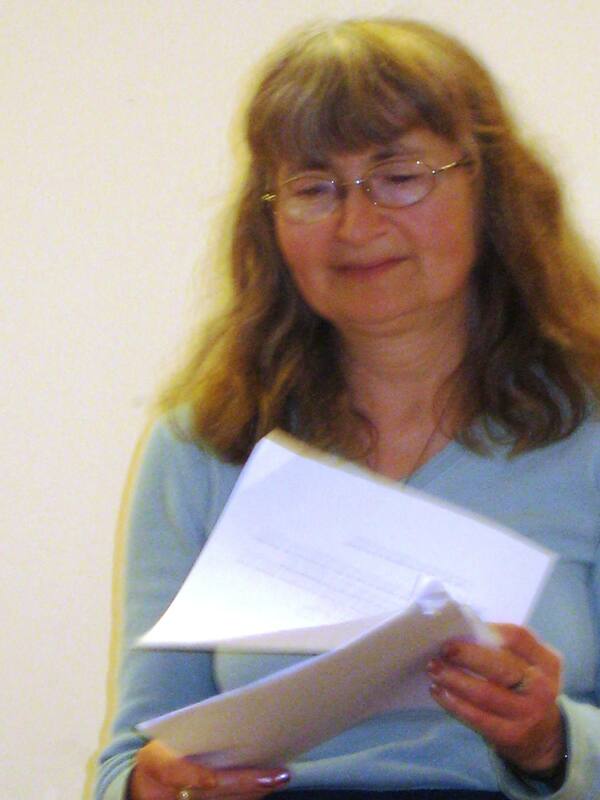 Copyright 2010 Sharon Crawford. Comments on this passage included: “Tom disappears,” brackets around “I blink to stop the tears from sliding down my cheek,” (for a reword), a grammar correction for “the Bully and I” (with “I” crossed out and “me” substituted. And I call myself an editor? You can see the subjectiveness creeping in here). Of course, I fixed the grammar error and reworded the business with the tears to “I blink to try to keep the tears inside.” But I didn’t do anything about Tom disappearing. The chapter focused on my grade school days – or tales of the most momentous occurrences – good and bad – not Tom, my friend and classmate; he was only part of the whole. So, you don’t have to change your writing just because a member of your critique group says so. What I find is that if a number of them agree on one point I better look at it and it probably needs at least some tweaking. Also any critique is worth examining because even if you don’t agree, it might trigger a better way of writing something. Writing critique groups are good also to find flaws in point of view, verb tenses, the balance between dialogue and narration, setting and time problems. The list goes on. But the critique is not all about finding the baddies – it is also pointing out what is good in your writing and also keeping the critique constructive, not destructive. We can get enough of the latter in the form of rejection letters from literary agents or publishers <g>. 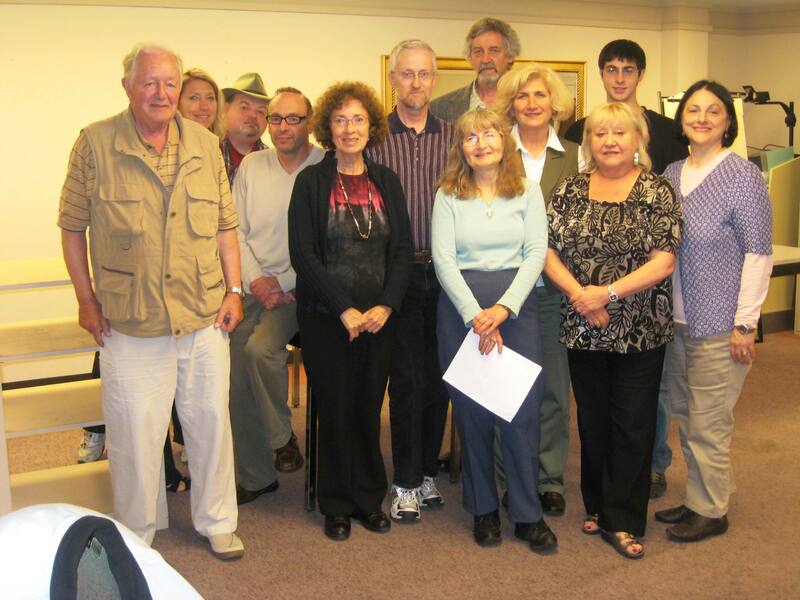 My East End Writers’ Group (www.samcraw.com> is an in-person group meeting once a month. But there are many online writing critique groups. Either can work – whichever you are comfortable with. But check into them carefully to find out what is required of you. If they are asking you to critique 10 stories for your one, you might want to give them a pass. It’s a given that you’ll have to do some critiquing of others’ work, but watch the ratio. Also watch the tone of the critique – if you can, ask others who belong to the group, what it’s like, or if it’s an in-person critique, you can sit in for one session and audit it. Some critique groups focus on one writing genre, others are mixed. Some focus on one writer’s work per session and require you to read and critique before the session. Some meet weekly; some monthly, and of course the online ones may also have submission number and time requirements as well. So be aware of the group’s requirements and if you are comfortable with them. I certainly have benefited from critiques received in my group and also from listening to and critiquing others’ work. Despite the online connections for writers, sometimes the face-to-face can be better. Or why would writers still join writers critique groups and professional organizations? True, most of them have online communities but they also meet in person. As a writer who belongs to perhaps too many writing organizations (Canadian Authors Association, Professional Writers Association of Canada, Crime Writers of Canada and my own writing critique group, East End Writers’ Group), I think I have somewhat of an insight on this. When I meet and talk with other writers at a Canadian Authors Association meeting, not only can I put a face to a name, but I feel a closer connection. The person is flesh and blood with all the individual quirks – a toothy smile, a shy disposition, and yes, even someone who bombards you with writing questions. And here is the core – the personal exchange of writing information – style, writing methods, marketing, etc. – and the opportunity to connect on a deeper level than online. I’ve connected with publishers and agents this way (yes, I know there’s Twitter, but you are limited to number of characters and the agent or publisher can’t see your passion and neither of you can get a deep impression of each other). In person, you get a chance to really talk to the agent or publisher about your book. It doesn’t guarantee the agent will take you on or the publisher will sign a book contract on the spot. But it provides you with that connection you can use in your query letter. I talked to an agent at a couple of writing workshops (one with the CAA and one with my EEWG) – the result was a fast-track to get my query and days afterwards, my memoir in for scrutiny. Although she read it sooner than unsolicited manuscripts, she did reject it but not as bad – she said my voice was really good and original but the memoir was too long. She suggested dividing it into two books, which I’m now doing. The bottom line is – besides the personal connection, you get quicker response and if not a contract, some useful information instead of the form rejection letter. It’s not just connecting with agents or publishers at these gatherings, but other writers can be helpful, too. If they already have an agent and/or a book or books published, they can give you advice based on their experience. For example, one published novelist I know fired his agent when his second book was published. The questions here could be: did he dislike what his agent was doing or not doing? Did he think now that he had a publisher he didn’t need an agent? And a well-published author might be willing to read all or part of your manuscript for criticism and possibly pass a good word along to their agent. You never know, especially if you just sit in front of your laptop and don’t get out there beyond your local coffee shop. Next week I’ll write about how an in-person writing critique group can help writers. The serendipity continues. At the MagNet (magazine publishing industry) conference in downtown Toronto last week, again someone beneficial sat down beside me. 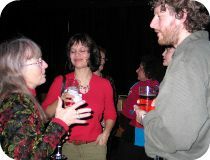 Again it was someone I had never met before, an editor at a literary journal in western Canada. She was looking for a writer to review mystery books for both their print and online versions. Now that will be me – I have the connections to get her published mystery books to review, the writing experience, and she says the journal pays – not a lot. However, there is another lead here. She is interested in reviewing any books/anthologies I have published and I am in an anthology, Gathered Streams ( Hidden Brook Press) coming out in July 2010. But if I file for future reference when I get my memoir published – here’s a connection to get the word out about my book. Of course, I’m still pitching agents but that’s a different story. So how do you go about doing this when someone you don’t know sits down beside you at a conference? You introduce yourself – name and profession – and they will probably do the same. Then ask them about what they do and listen. Tell them a bit about what you do but don’t go into a long-winded pitch. At some point in the conversation, you can ask if they are looking for book reviewers; do they use freelance stories; or if an agent or publisher, do they represent/publish (science fiction, mystery, memoir, etc.) – or better, ask what categories they represent/ publish. Then say, “I might be able to help you here.” Here’s where you do a soft pitch and ask if you can followup by e-mail. And exchange business cards. You can also do what I call “passive networking.” When you attend workshops/seminars, listen to the speaker(s) and take notes. And if there seems to be a possible fit with what you do, don’t bombard them with a lot of me-me questions during the lecture. Instead, go up to them after the seminar, introduce yourself, ask your question, and depending on their answer, let them know you will followup with an e-mail. And exchange business cards. However, if the speaker has valuable information for your writing, but their business is not for you (for example, you write memoirs but the literary agency handles only fiction) you would be wasting each others’ time if you spoke to the agent afterwards. If the agency does handle a range of genres, but the agent spoke only on pitching fiction and what the agency does for its clients, it might still be worth talking to the agent. If nothing else, he or she can give you the agency’s contact person for your book genre. And I’m going to end on another platitude. Don’t be shy. Speak up. Nothing ventured, nothing gained. If you are writing a memoir (or any book for that matter), writing conferences are opportunities to meet publishers and literary agents. Sometimes the agent and publisher are on panels or they are sole seminar presenters. Sometimes you get the serendipity effect, like what happened at the Crime Writers of Canada Bloody Words Convention in Toronto May 29. For the banquet I headed towards the table where Michael, a colleague and friend, was sitting, plunked myself down and introduced myself to the lady on my right. Yup, you guessed it – she is a literary agent from New York City. We got talking. She doesn’t handle memoirs, not even much non-fiction, but she is looking for certain categories of fiction. As I am also a freelance book editor, that got my attention. So I asked further and found she’s looking for what one of my editing clients is writing. We talked some more and the gist of it is I have valuable information and a lead to a literary agent for my client. I didn’t go away empty-handed with my own memoir writing. One panel featured librarians from across southern Ontario. Well, they aren’t going to help me get my book published, but as part of my marketing plan, I’m teaching memoir writing workshops to seniors in the Toronto public library system. A branch librarian approached me last month to do so and since then I’ve been doing my own approaching (via phone and e-mail) to the programming librarians at other branches – I’m not going to get to them all – Toronto has 99 library branches. And I do my research at their websites to see what they have and what they need. So after the panel discussion, I talked to the librarian from the Toronto branch. Result: she gave me the name of the librarian looking after branch programming. But I also have an “in” (besides already having one workshop gig) – the contact with this branch librarian at the conference. As an added bonus, I also spoke to another librarian panelist – this one in a different Ontario city – because they do a lot of promoting of southern Ontario book authors. Another author and I have a jointly-written novella coming out later this month – (e-publishing and print, but that’s for another post) – so I have made another valuable contact here. 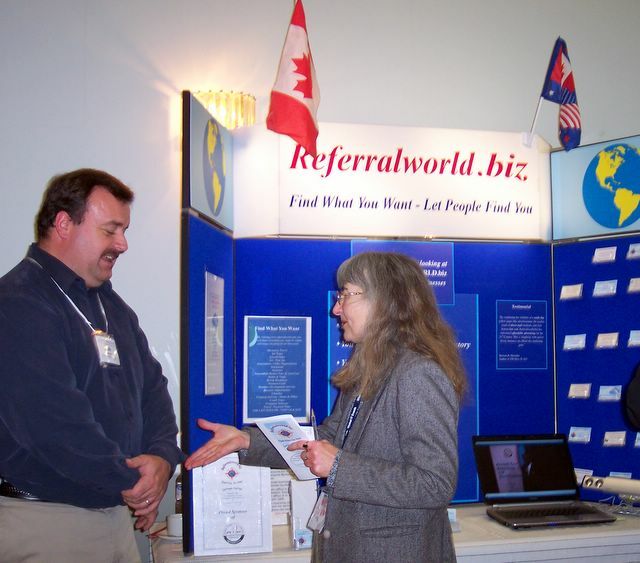 You can also chat with other authors and exchange information that can provide valuable leads. Just remember: you can help the other person as well – obviously for the agent, he or she may get another author for a client; the librarians – they get someone valuable for their programming, which brings in people to the library. It is a win-win situation. And now, I have to finish getting ready for yet one more publishing writing/conference – MagNet – also in downtown Toronto. One of the seminars I’m attending features a NYC literary agent talking about transforming yourself from journalist to book author.